This 24 hour training is available only to those who have completed both Level I and Level II of the Yoga for Arthritis curriculum. It is recommended for anyone who intends to specialize in arthritis and chronic pain and is appropriate for those conducting private sessions with this population and working in settings such as hospitals, integrative care clinics, or senior centers. The training includes work with case studies, peer-learning on special topics, communication and collaboration with healthcare professionals, and work with less mobile individuals. Each participant is asked to explore and present content related to arthritis that requires greater depth of understanding and is directly relevant to the work of yoga therapists. Completion of this program results in a certification status with Yoga for Arthritis, which is renewed every 3 years with a small independent project, additional mentoring experience, or congruent continuing education. This training is also required for those interested in becoming Teacher Trainers and/or Mentors. For more information on mentorship and the practicum, click HERE to be taken to our mentorship page. 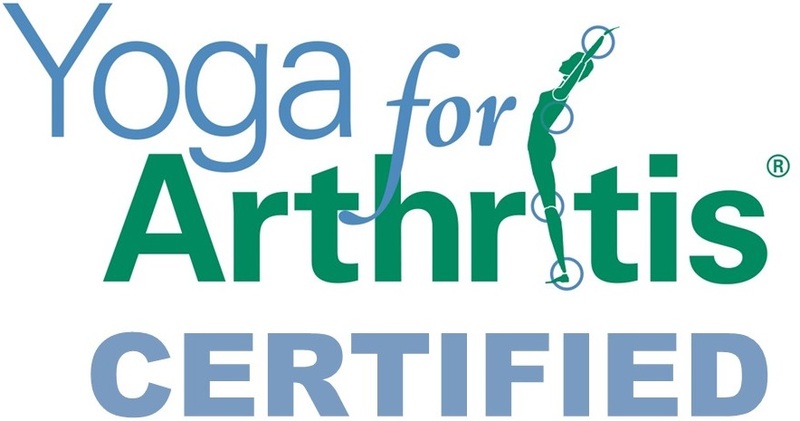 After you complete your first Level II course, you are eligible to be a Certified Yoga for Arthritis teacher. Read the International Association of Yoga Therapists’ review of this program (Yoga Therapy Today). Thank you for your continued commitment and participation in the YFA program! Please note the $150 administration fee includes a Community Level YFA Teacher’s membership so you have access to the latest versions of the training materials. Attend another Level III YFA training. Check the YFA website for the current options. Also, join YFA teacher’s membership to receive access to the latest training materials. Write up a YFA-related case report. Pay the $150 recertification fee and write up a client case report in accordance with the CARE guidelines that is suitable for submission for peer-review. This will be reviewed with a mentor (whom you will pay for their time) and you may choose to submit this info for publication if you’d like. Complementary Training. Pay a recertification fee of $150 and attend another yoga training that serves a complementary audience. After that training you’ll need to write up a synthesis report about how the knowledge gained will integrate into your YFA work. You’ll go over that with a YFA mentor and owe them the mentor rate $50/hr for their time. Kidding around Yoga or if you have experience working with kids, just the accessibility component. *Please note these are being provided as examples only and we are not endorsing one program over another. If you’re considering one not listed, please write a short proposal and submit it to Dr. Steffany Moonaz for review info@arthritis.yoga. Mini Rementoring Session. Pay the $150 recertification fee and record one of your YFA classes for submission to a YFA mentor. Volunteer to assist at a Level I training. If you have an idea that’s not listed here, please reach out to Dr. Moonaz at info@arthritis.yoga to discuss it. LEVEL III PROFESSIONALS RECEIVE ONE YEAR OF MEMBERSHIP FOR FREE! All YFA teacher trainers and mentors receive Level II membership for free with access all of the membership materials for use with your students.